Operation Abyss sequel confirmed for western release. NIS America is bringing Operation Babel: New Tokyo Legacy, the sequel to Operation Abyss: New Tokyo Legacy, physically and digitally to PS Vita, and to PC via Steam in North America and Europe in spring 2017, the publisher announced. It will feature Japanese audio with English subtitles. A $59.99 limited edition, available via the NIS America Store, includes a copy of the game, collector’s box, deluxe softcover art book, clear file folder, 16-track original soundtrack with jewel case, and tear-resistant poster. Continue the story of Operation Abyss and defend near-future Tokyo from a new threat in this dungeon crawling RPG. When a mysterious object – dubbed ‘the Embryo’ – appears in the sky, the CPA and the Xth Squad are mobilized to face the new threat. Venture into challenging new labyrinths and create the perfect team to challenge each threat. Featuring a mysterious new story, unprecedented character customization through the new ‘Sub-Blood’ system, and item-based character ability modifications, Operation Babel: New Tokyo Legacy will give you a world to lose yourself in. 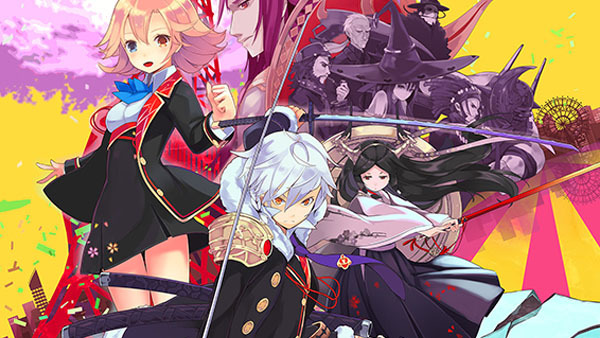 Operation Babel: New Tokyo Legacy first launched for PS Vita in Japan on April 30, 2015. View a set of screenshots at the gallery. Visit the official website here.